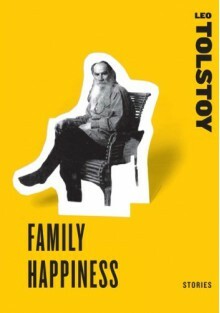 Russian writer Leo Tolstoy is probably best known to the Western world for his epic WAR AND PEACE and splendid ANNA KARENINA, but during his long lifetime Tolstoy also wrote enough shorter works to fill many volumes. Reprinted here are two of his finest short novels -- FAMILY HAPPINESS and MASTER AND MAN -- and one short story -- ALYOSHA THE POT Alongside FAMILY HAPPINESS, Harper Perennial will publish the short fiction of Fyodor Dostoevsky, Herman Melville, Willa Cather, Stephen Crane, and Oscar Wilde to be packaged in a beautifully designed, boldly colorful boxset in the aim to attract contemporary fans of short fiction to these revered masters of the form. Also, in each of these selections will appear a story from one of the new collections being published in the "Summer of the Short Story."